Some of the ways that you can mix your podcast with standard search engine optimization concepts are if you utilize SEO services, keep up with the latest engine algorithms, modify your narrative formula a bit for consistency, and bring social engagement into the picture while you’re doing your recordings. When you use an SEO service to help your business-branded content, you get several immediate advantages. No matter how familiar with SEO you are, the people that work with engine optimization for a living are going to be experts, and they will bring their expertise directly into your desired project goal. It’s a full-time job understanding the ins and outs of search engine optimization, and if your business focus is on the podcast itself, there has to be some give-and-take concerning time and energy. Learning how Google’s search engine algorithm works is a good start if you’re planning on trying to advertise your podcast content as well. The primary idea is that when people are searching for what you’re talking about on your podcast, you want your content to be first on the search engine results. This is a very competitive concept, but one that really pays off for people to do it well. 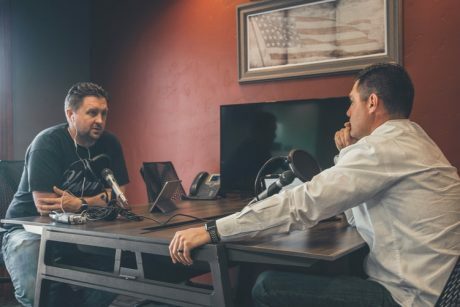 If your podcast is about education, then when people search for educational topics, you want to be right up at the top of that front page, and that will directly lead to an enormous amount of traffic. There is the matter of modifying your narrative formula to help with your search engine results as well. Obviously, you always want to follow podcast best practices when recording and producing your show. But, if you figure out how to adjust some of your wording, timing, spacing, and flow, you can duplicate your spoken content onto the written page, and the text that mirrors your speech is extremely valuable to search engines. Another way to improve some of your marketing is by adding social engagement into your podcast structure. Ask questions to your audience. Have some way that people can respond to the content that you are producing in a way that showcases interaction and engagement on your main webpage. Though people can’t talk to you in real time on the podcast itself, at least after it’s recorded, you can use questions from the outside as a way to keep people interested in what you’re talking about in the long term.